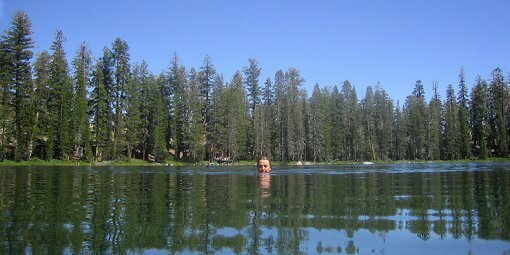 when i was little my parents would take me and my two sisters camping every year to the same place called whispering pines, and i loved it. we would stay in these shabby little cabins for a full week and i was happy as a clam. BBQ'ing, swimming, talent shows, and watching the stars - i mean, what more could you want?! well, lately i've had this very strong desire to get back to my camping roots - and once i saw this cabin it just really sealed the deal. it is the perfect combination of my hippy-earthy-self mixed with my love and admiration for design and architecture. 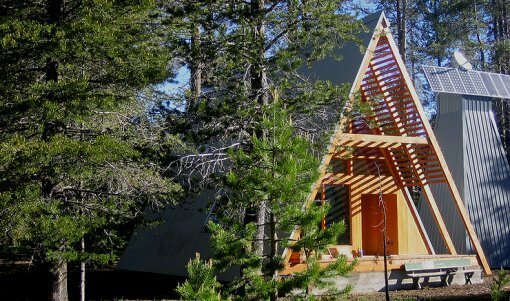 you'll see it is a modern a-frame in a remote location of the sierra national forest, california. the property is surrounded by amazing meadows, secret swimming holes, and miles and miles of undiscovered hiking trails.